It is “absolutely heartbreaking” to see the Notre-Dame Cathedral in flames, Prime Minister Justin Trudeau tweeted Monday as Canadians across the country watched in horror and disbelief images of the iconic 12th-century Paris landmark being devoured by a raging blaze. “Canadians are thinking of our friends in France as you fight this devastating fire,” Trudeau tweeted. Conservative Leader Andrew Scheer said his heart breaks to see the iconic Notre-Dame cathedral up in flames. My heart breaks to see the iconic Notre Dame cathedral up in flames. Notre Dame’s majesty and beauty have captured the hearts of millions worldwide. Praying for everybody’s safety and a speedy response. 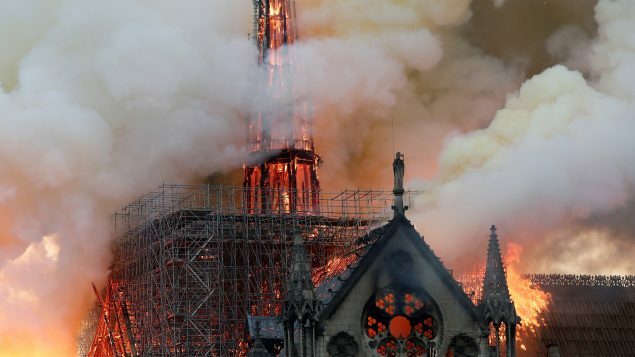 The blaze, which was noticed shortly before 7 pm local time, collapsed the cathedral’s spire and spread to one of its landmark rectangular towers. A spokesman said the entire wooden frame of the cathedral would likely come down, and that the vault of the edifice could be threatened too. 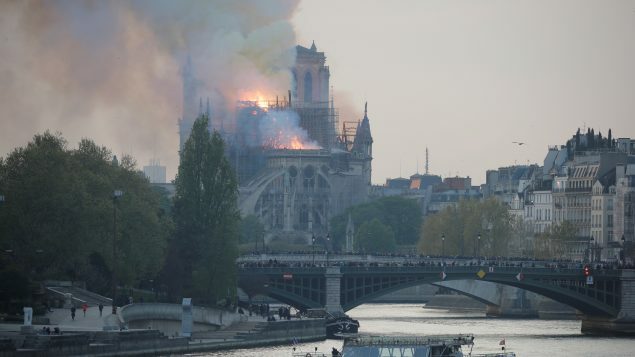 “Everything is burning, nothing will remain from the frame,” Notre-Dame spokesman Andre Finot told French media. The Gothic-style Catholic cathedral is home to incalculable works of art and is one of the world’s most famous tourist attractions, attracting nearly 14 million tourists and pilgrims every year. “And we pray that they will be able to recover from this and go on to live what the beauty of the great cathedral represents,” Collins said. 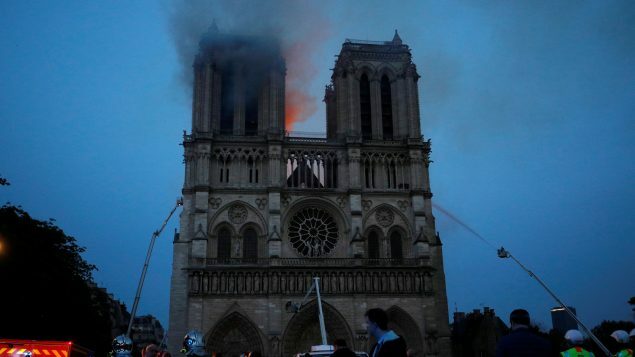 The cause of the blaze was not known, but French media quoted the Paris fire brigade as saying the fire is “potentially linked” to a $9 million renovation project on the church’s spire and its 250 tons of lead. Prosecutors opened an investigation as Paris police said there were no reported deaths. French President Emmanuel Macron, cancelled a planned address to the nation, and rushed to the scene and straight into meetings at the Paris police headquarters nearby.